Floating candles for your party. 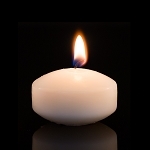 These floating candles are available in 1-1/2" and 2" sizes in both white and ivory. 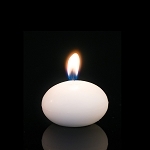 Floating candles are on sale through February 28th. 20% off. No minimum order.